Pillar Box House was available with Cottages 4 You. You may have reached this page because you were looking for Pillar Box House. Unfortunately for us, we no longer feature this cottage. However all is not lost, there are several holiday cottages around this area. 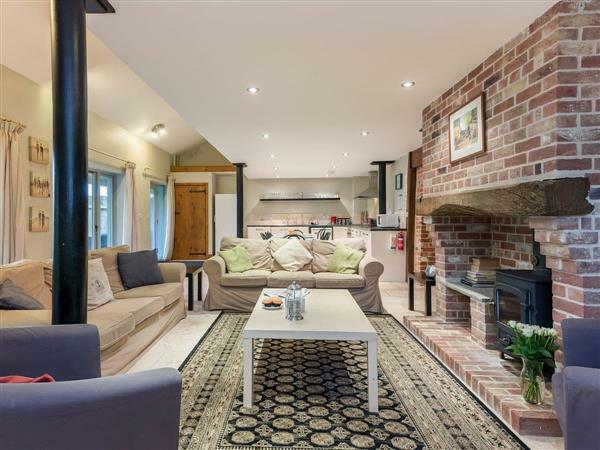 If you're looking for a cottage holiday in Norfolk, have a look the holiday cottages listed below, all these properties are within 25 miles of Pillar Box House, and sleep at least 8 people. Or have a little look at the lodges which are in this area too. 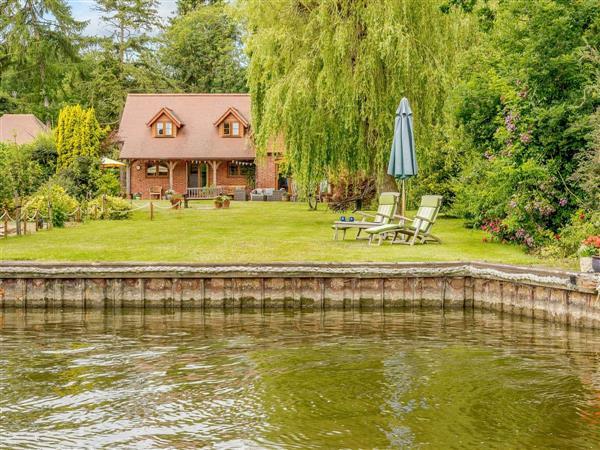 Pillar Box House had a hot tub when this cottage was featured by us, if you're looking for a hot tub on your next cottage holiday, have a look at all the cottages with a hot tub in Eastern England. You can find more large holiday cottages (that's cottages which sleep 8 or more people) in Norfolk. 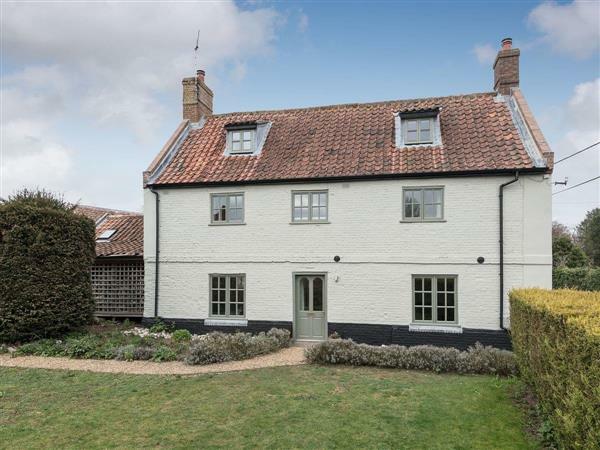 If you want to see more large cottages, have a look at large cottages in Norfolk. Pillar Box House is pet friendly - this means that you are allowed to take your dog on holiday, which is handy if you've got a pet. The holiday cottages below are also pet friendly too. 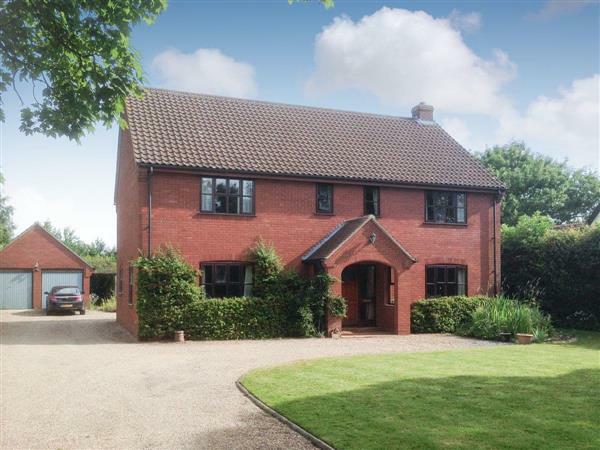 Pillar Box House in Hackford, near Wymondham sleeps 8 people. 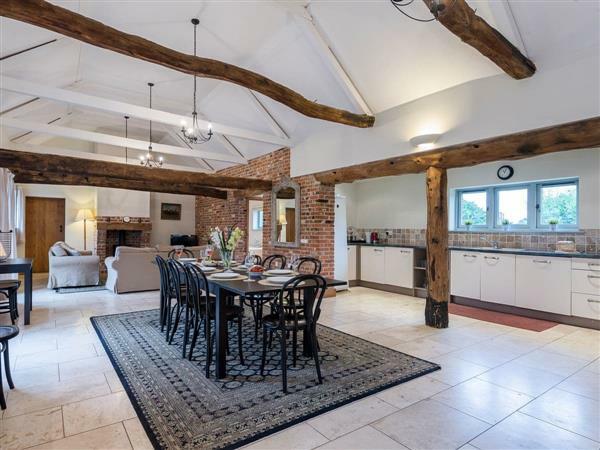 Pillar Box House near Wymondham is a striking pink, detached, timber framed, period house which is rich in character, with oak beams, wooden floors and an inglenook fireplace. From the moment you step in, you are greeted with an impressive reception hall. The house is set over three floors, offering comfortable accommodation with a spacious, beamed living room and an open fire, set in an inglenook fireplace. There is a well equipped kitchen and dining area with a wood burner which is ideal for hosting and entertaining. The master bedroom suite occupies the top floor and boasts its own en-suite and dressing room with enough space for all four bedrooms. 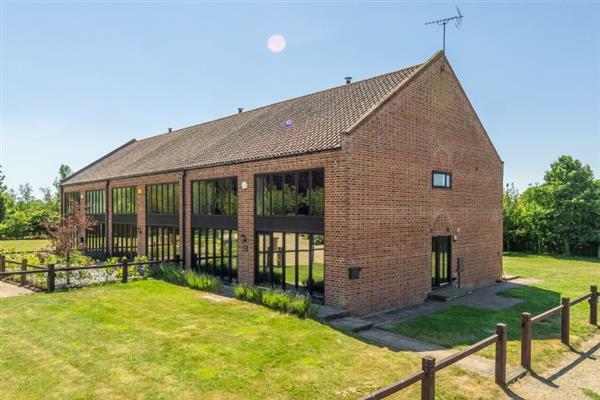 A stable door opens onto the fully enclosed, sunny garden, complete with a hot tub and patio with furniture, as well as a lawned garden at the side of Pillar Box House near Wymondham. Pillar Box House is situated in the small, rural hamlet of Hackford, neighbouring the market town of Wymondham and the pretty Georgian village of Hingham. The parish of Hackford is listed within the Domesday Book, and has Saxon origins. Together with nearby parishes, there is interesting archaeology, with evidence of activity from the Palaeolithic Period to modern day. The city of Norwich is 13 miles away for excellent shopping, two indoor malls, theatre, castle museum, cathedral, pubs, fine restaurants, market square, cafés and art galleries. The surrounding countryside provides endless opportunities for cycling and walking. Thetford Forest is 19 miles away and boasts designated picnic areas, footpaths and cycle trails, challenging cycling routes, climbing and adventure activities. The Pingo Trail, an extraordinary and fascinating walk, and Thompson Park are just 10 miles away. The pretty Georgian market town of Hingham, 2 miles, is steeped in history with a small selection of shops and a good pub around the village green. 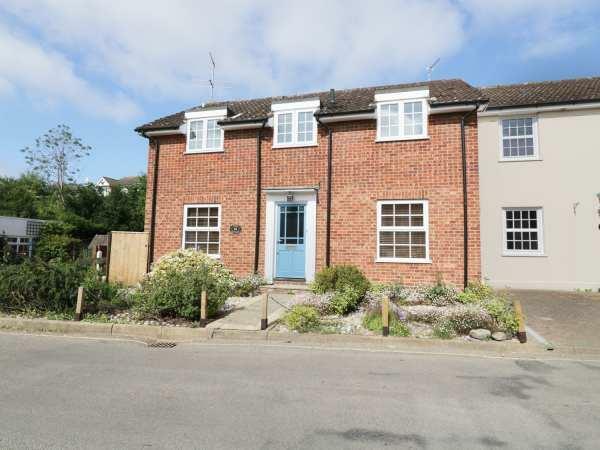 Wymondham, 3 miles, is an attractive historic market town with many shops, railway station, cafés, pubs, and a leisure centre with a spectacular spa. The massive towers of Wymondham Abbey are set against the green fields of the Tiffey Valley. Barnham Broom is 3 miles with a golf course and leisure club. For keen anglers, there are fishing lakes available at Hingham (at an additional charge). Should you prefer to spend a day on the beach, the North Norfolk Coast can be reached within a 40-minute drive. 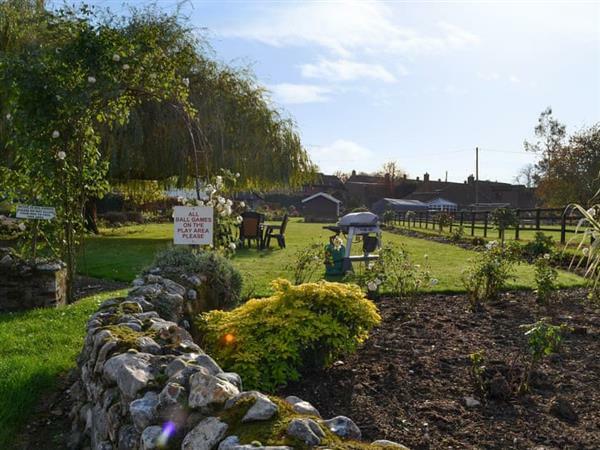 From the doorstep, public footpaths and extensive dog walking are in abundance. The shop, pub and restaurant are all 2 miles from Pillar Box House near Wymondham. 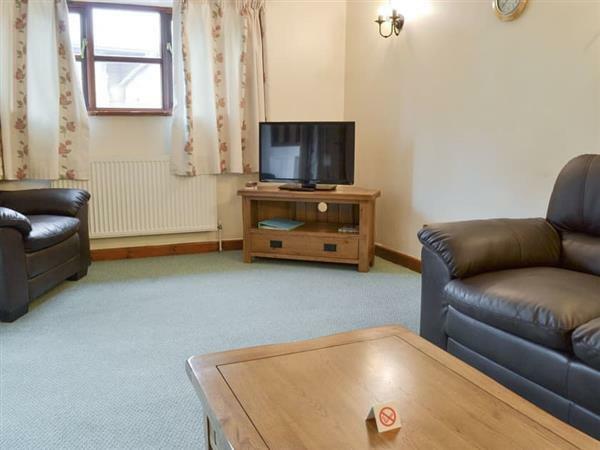 Living room: With open fire, Freeview TV, Blu-ray player, iPod dock, beams and wooden floor. Kitchen/dining room: With wood burner, Everhot electric range, microwave, fridge, freezer, dishwasher, blender and washing machine. Bedroom 4: With king-size bed, Freeview TV/DVD player, dressing room and en-suite with shower cubicle (no toilet), separate en-suite toilet. Oil central heating, electricity, bed linen, towels and Wi-Fi included at Pillar Box House near Wymondham. Initial logs for open fire and wood burner included, remainder available locally. Welcome pack. Enclosed lawned garden with patio and garden furniture. Hot tub. Bike store. Private parking for 3 cars. No smoking. Holidays at Pillar Box House run from Friday to Friday. Pets allowed at Pillar Box House.